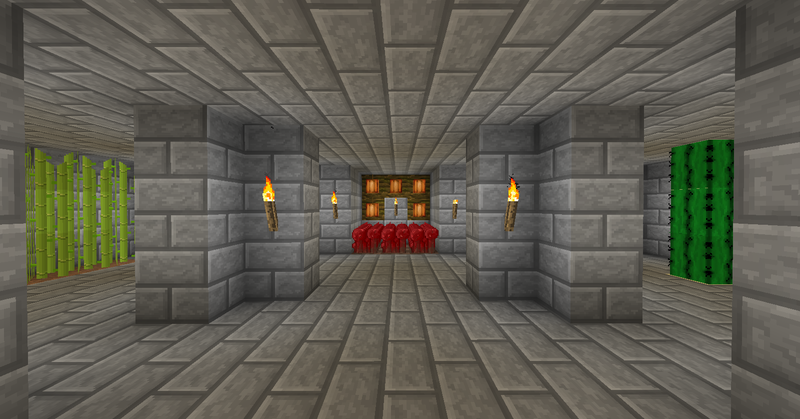 The Nether hubs and connecting tunnels. Jackal’s Den is a pretty large map — 100,000 by 100,000 Overworld blocks at the time of this writing. It can seem pretty overwhelming at first. 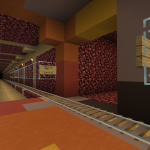 However, once you familiarise yourself with the extensive Nether transportation network, you will find that it is pretty quick and easy to get around this vast map. There are currently six main hubs: Central, which is the spawn and the oldest terrain generation going back to 1.6; North, a wintery biome to the north, also generated in 1.6; Savanna, our first 1.7-terrain expansion to the northeast; Southside, which was the location of the modern build-off competition; Ocean Market, which is the market place for players’ shops; and Southeast, primarily 1.8 terrain generation and the site of the fantasy build-off competition. These six hubs are all connected by main tunnels containing rails and ice paths, to form a rectangle with stops midway along the north-south lines. At each of these hubs there is a portal to the Overworld and a quick-travel button which will instantly take you to Central Hub. Central Hub, in turn, has a bank of quick-travel buttons which will take you to any of the five remaining hubs, meaning that nothing is ever more than a button push or a train ride away. In addition to the main connecting tunnels, there are community tunnels that extend outward from each of the hubs in the four cardinal directions (north, south, east and west). If you haven’t already, you should register on Dynmap to get a feel for where everything is. 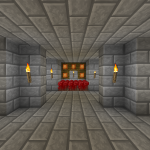 Once you have found the ideal location for your new dream Minecraft home, you can build a portal and make a tunnel connecting it to the nearest community Nether tunnel for easy and quick travel around the map. Please be sure to build your Nether-side portal at y9 to keep things organised and avoid any cross-talk between other players’ portals. Your Overworld portal can be at any y level. Everybody plays Minecraft differently. Some like to farm on a large scale while others prefer the pure survival experience. There are all types of players on Jackal’s Den. For those who like a little help getting through the first few nights, here’s a list of a few resources to help you on your way. Whilst running from the undead, it may seem counter-intuitive to head for a graveyard. However, if you head to the graveyard just slightly southeast of Savanna spawn, you can pick up some random ghetto gear from the crypt there. 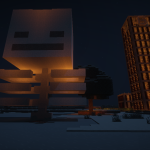 It is also worth noting that if you need a place to stay the night, there is a safe house just next door (south of spawn) where you can relax until morning. There are often some supplies to be found in the safe house too. Slightly to the east of Savanna spawn you will find a small starter crop farm, which has the basic crops that you can use to start your own farms. 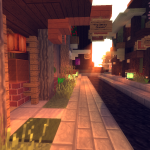 Here you will find cacti, sugar cane, carrots, potatoes, nether wart, melons, cocoa beans and pumpkins. If you need some wheat, then check the next listing. As with all public crop farms, please replant anything that you harvest. If you’re tired of a vegetarian diet, but you can’t bring yourself to eat rotten flesh, then head to the Derpy Chicken at Ocean Market. Here you will find the best chicken made with twelve herbs and spices, and the best thing about it is it’s totally free. While you’re at Ocean Market, check out the shops there, where you can buy all kinds of weird and wonderful things. If you want to set up your own shop, then stop by the leasing office located across the street from the Derpy Chicken to apply for your own premises. There’s a plethora of mob farms all over Jackal’s Den, from Golems to Ghasts, Slimes to Spiders, Endermen, Pigmen and Spacemen! Well, maybe not Spacemen. But if it’s in Minecraft, then somebody somewhere is farming it. Many of the farms are public and here’s a list of some of the more popular public ones, which are just a small selection of what’s available. If you are looking for a farm that isn’t listed here then just ask in chat and somebody will probably be able to point you in the direction of what you need. 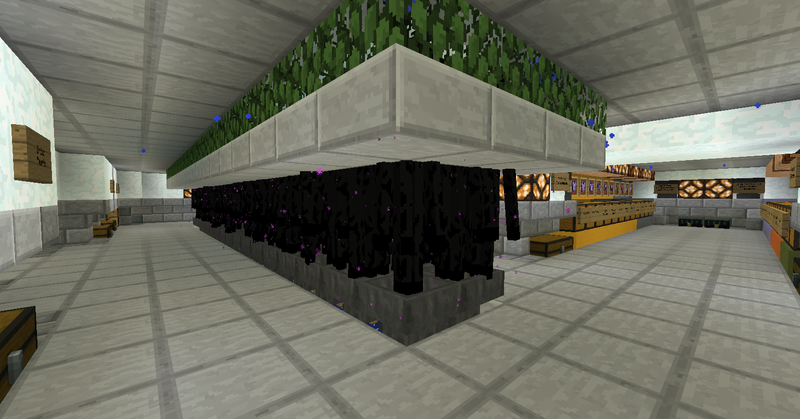 There’s no better XP farm than an Enderman farm, and this one is no exception. Using it, it should only take you about sixty seconds to get to level thirty for a maximum enchant. 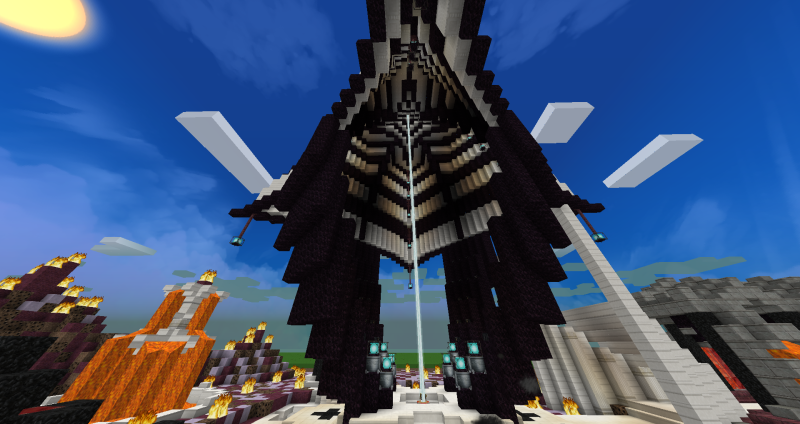 To find the Enderman XP farm, just head to Central hub, then go up the north tunnel for 137 blocks. Once you get to the farm, you’ll find an enchanting table with enough bookcases for full enchant, as well as anvils to repair all your gear. There are also public chests for enchanted books where you can deposit all your unwanted enchanted books, or if you find something you need that somebody else has donated, then it’s yours to take. If you need food while you’re there, then there is a melon farm there too. However, as there is a regen beacon there, you don’t need to eat while you farm, as it is impossible to starve to death. So don’t bother eating until you are about to leave, else you will go through a lot of food. Also, the Endermen are one-hit kills, so you can just punch them with your empty fist to kill them. No need to waste durability on your weapons! 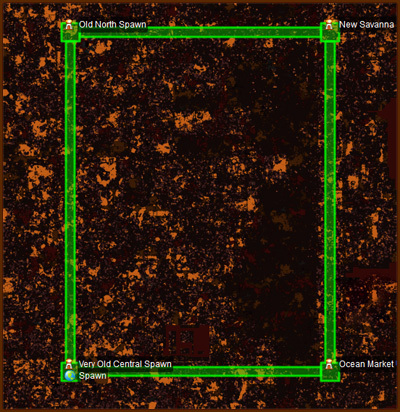 It should be noted that spawn rates at the farm drop drastically if other people enter the End, so it is good practice to check Dynmap before heading out there to avoid spoiling someone else’s farming. 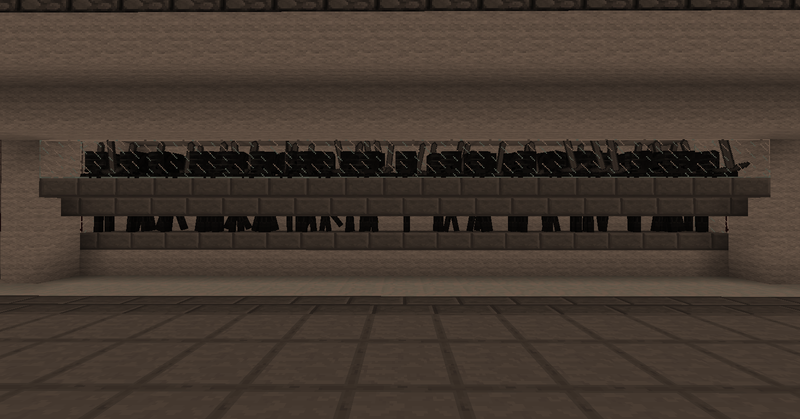 Due to the 1.7 minecart tp bug, the rail has been temporarily removed to stop people tp’ing into the void and dying. 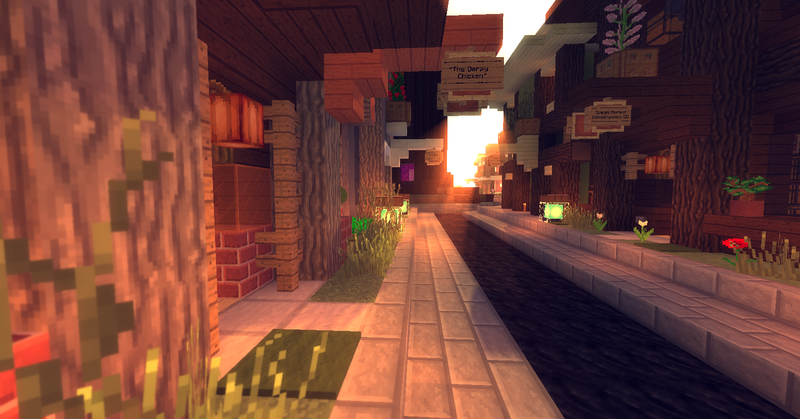 Hopefully the rail will be back soon, Mojang permitting. It is also recommended that you use the enderchests provided to put all your valuable gear in whilst traveling in and out of the end, just in case something bad happens. Beacons are great, and running a Nether fortress killing Wither Skeletons is fun, although it can be a little dangerous. 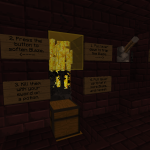 If you want to take the work out of getting Wither Skulls for beacons, then the Wither farm is probably for you. 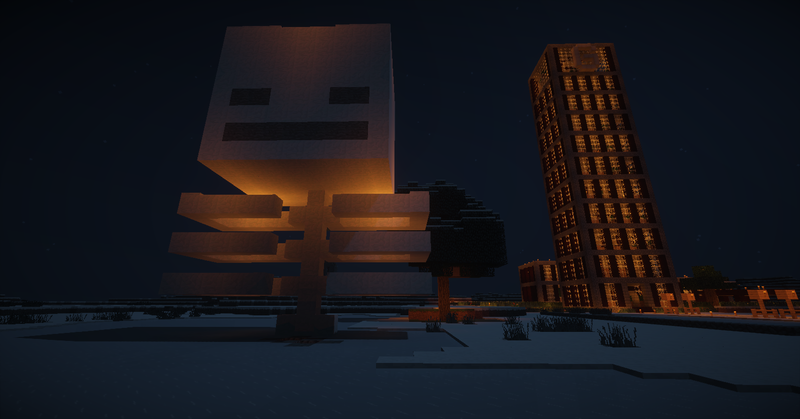 Just go to North hub and head east for 164 blocks and you will find it. Hop on the minecart waiting for you in the station and stay on it until it ejects you at the farm. Once at the farm, you have three options: you can just run around and kill everything that comes down, which will give you gold, blaze rods and errrmm, rotten flesh (come 1.8 you might be thankful for that), bones, arrows, coal, and the odd bit of mob armour or weapons. Or, you can use the manual kill button, which will kill all the Zombie Pigmen, but leave you Blazes and Wither Skeletons to kill for drops. Or, lastly, you can go for the the autokill kill AFK hole. 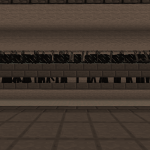 Stand in here and AFK for an hour or two and everything bar the wither skeletons will be killed every four minutes, allowing the wither skeletons to build up while you’re away. When you get back you can take them all out with your Looting III sword and hopefully, get a few skulls for very little effort. The AFK hole is arguably the best way to use this farm. 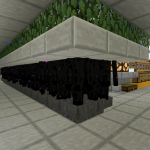 As this is a Nether farm, it is worth noting that spawns will be affected by other people being in the Nether. 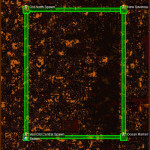 You will get significantly fewer spawns if even one other person is in the nether while you are there, so it can be worthwhile checking on Dynmap that nobody is working in the Nether before you head down there. 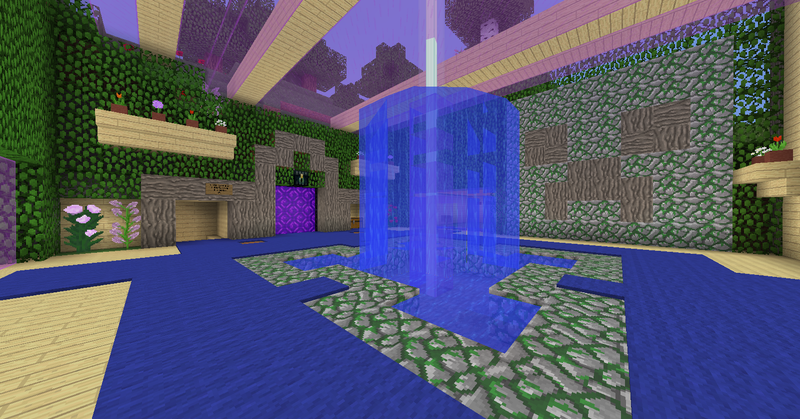 Also, there is an indicator in the Wither Farm station to let you know if someone is already AFK in the farm. It is very poor manners to kill someone else’s spawns, so please respect the AFK indicator. 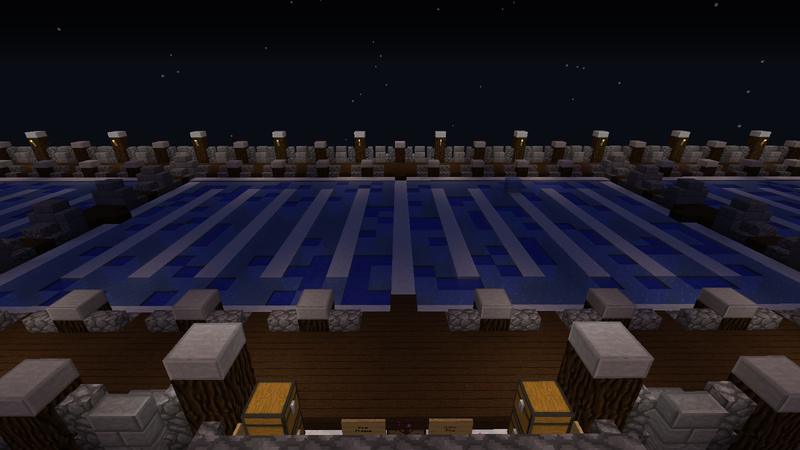 There are many Blaze farms on the server, some double and some single spawners. This one is easy to find as it is just down the west tunnel off Savanna hub. There is an enchanting table and an anvil on site, so you can immediately use any XP gained, if you desire. You have two options when it comes to using the farm. You can stand in front of the kill hole until enough Blaze have spawned, then follow the instructions on the signs to kill them and get your loot. 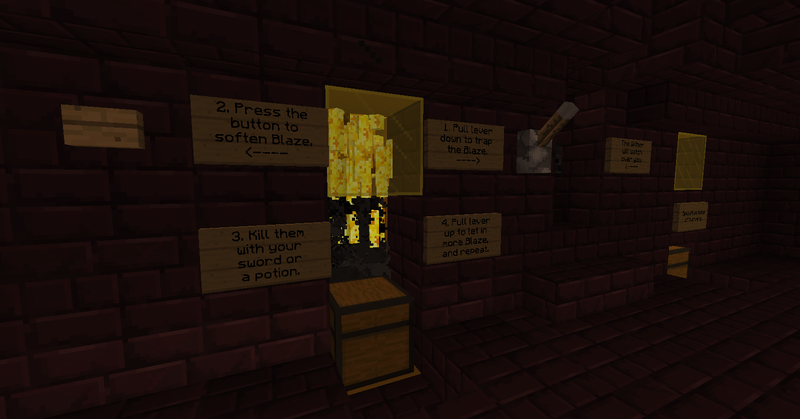 Or, if you prefer, you can AFK there, building up Blaze rods and XP. To AFK, you will need to leave just one empty slot in your hot bar. Select that slot and stand on the pressure plate. Now you can either tape your right mouse button down, or my preferred method is to bind the right mouse button to a keyboard key and the weigh it down with something. Once you have done this, aim your crosshair just above the hopper but beneath the glass, then AFK for as long as you like. When AFKing, the Blaze are killed every ten minutes. When you return, your loot will be waiting in the chest, and you will have XP to use as you wish. Bones, arrows, junk armor and XP. These are all things that a nice skeleton farm will provide. The bone farm at North spawn should offer all of the above at a pretty decent rate as it is a dual spawner-based Skeleton farm. There are chests for you to deposit the stuff you don’t need, and to take the stuff that other people have discarded. You have the option to kill the skeletons by hand for the XP, or if you prefer you can just crush them with a piston and just take the loot. To find the farm, go to North spawn, then head east out of the spawn building and look for the giant snow skeleton… you can’t really miss it. We at Jackal’s Den are conservationists. To avoid having people tear up multiple Mesa biomes to get lots of clay for their epic builds, there is a designated resource mesa where you can go and butcher the landscape for as much clay as you need. 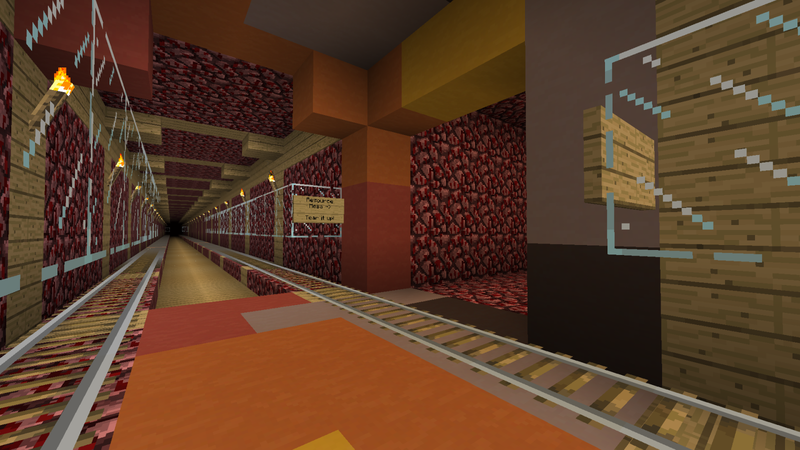 To get to the Resource Mesa, take the south tunnel from North Hub to z -3050, to a tunnel marked by stained clay. There’s rail all the way to the portal to the biome, so you can ship back chest loads of clay, and there is often somebody with a haste II beacon setup around the place to speed up your mining. If you are quarrying clay out from underground, please light the place up as you go to avoid it turning into a mobfest for the next person out there. If you need to mine clay that is already covered in torches, please replace the torches on the new floor. This will help you and any players who come out after you. Building a tunnel, a speedy ice path, or a frozen kingdom? If so, the public ice tray is going to save you a lot of time. It can be found a short distance down the west tunnel off Ocean Market hub. All you need is a silk touch pickaxe and you’re good to go! Please refrain from using silk touch shovels to harvest the ice, as it can result in damage to the tray. If you need a load of flowers, for decoration or for dye, here’s a place where you can get some. If you have a load of bonemeal (such as from the bone farm listed above), just head east off of Savanna spawn and stock up on your favourite blooms. What more can one say, it’s a floral farm. Jackal’s Den also has a flat Creative world available. 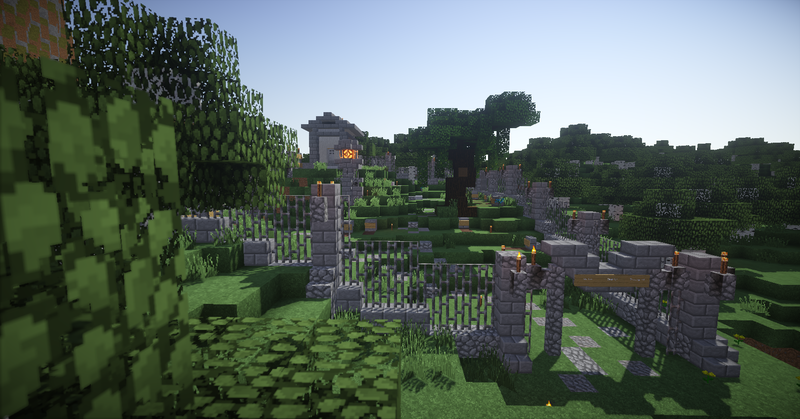 Here you can test out a build whilst still hanging out on the main server. Or, if you prefer, you could just setup home in the creative world and build a castle entirely from diamond blocks and beacons. Around the Creative spawn there are different size plots available, if you want to build in the communal area. Or you can just head out into the TNT-cratered wilderness and build away to your heart’s content. 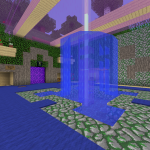 To access the Creative world, you can either enter through the house which is about ten blocks east of Central Spawn, or you can use the command /warp cworld in the chat box. Make sure you empty your inventory, including taking off your armour, before you enter, as you will lose everything when you leave the Creative world. The only way to leave the Creative world is to fall out of the world. There are pre-dug exits at the spawn point to enable this.